Oh no. Her “moth is frozen”! For more fun, read it with Inspector Clouseau’s accent. Well, in the words from the little chap on the trike at the end of The Incredibles . . . those photos of the pair of you were “Totally Wicked!”. Classic. Awesome. You must be nuts. Both of you. Well done on persevering though! Totally convincing; you even held eye contact when you said it! I watched that video when it was first posted and totally believed you. I’m still not convinced that the lie isn’t in your blog rather than on video. But whatever; that was another great report! The races where we suffer are the ones we remember most. You, on the other hand, Fatty look like death in spandex. Great report, man. I’m typing this from a condo just outside Breckenridge and it’s the first time I’ve ever been here and I can see why you’d love it! I may have to try MB after all! I commuted home one night 23m in the rain last spring. I do not remember a smile on my face, even when it was done. Well done on your effort. I agree with Brian in Va that your look is rather decrepit, like a much older man, someone like me. You might want to ‘bury’ these pics (yours of course). The Hammer may see a glimpse of the future, and from your posture and face, it’s not going to be pretty. Advil-KBD – it could be the name of a great rock group. Good report, but, i am sorry, elden, it did sound like you were prevaricating when you said the rain did not bother you. DeathinSpandex could also be a band name. @BrianinVa – DeathinSpandex could be the name of the next great indie rock group. Or DethinSpandex and it’s a metal group! Here I note the name of the next great rock group, and my laptop forgets who i am, so I comment as anonymous. Hmpf. Also, to BrianinVA – DethinSpandex could be the name of a metal rock group. And to make matters worse, my laptop fails to register my second anony comment, so I pathetically redo it three times wherin it registers a trifecta making me look very very … something. I give. My wife asks if you were harmed by the small furry animal attached to your chin. I have been that cold. Actually, I’m that cold when I ride all winter. And I stand in the shower and boil myself to a nice shade of lobster, then get under a heating blanket for 3-4 hours. I can totally feel your pain. Fatty – well told story, as always. Just one question – is that a Members Only jacket?? I had a nearly identical experience just the other day. 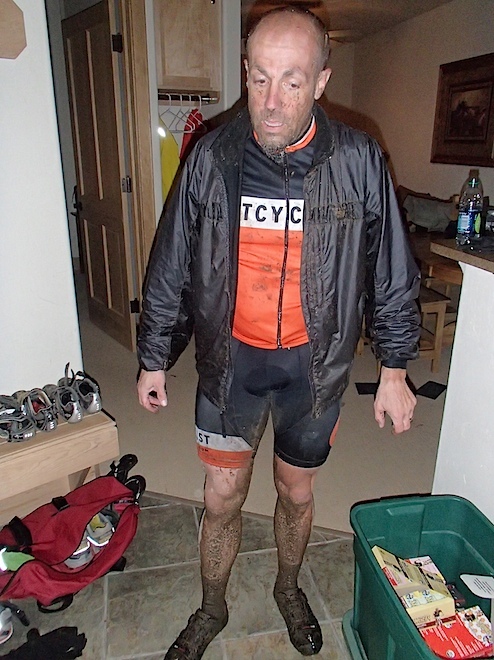 My first time on a mountain bike in two years just happened to coincide with a 40 degree monsoon. 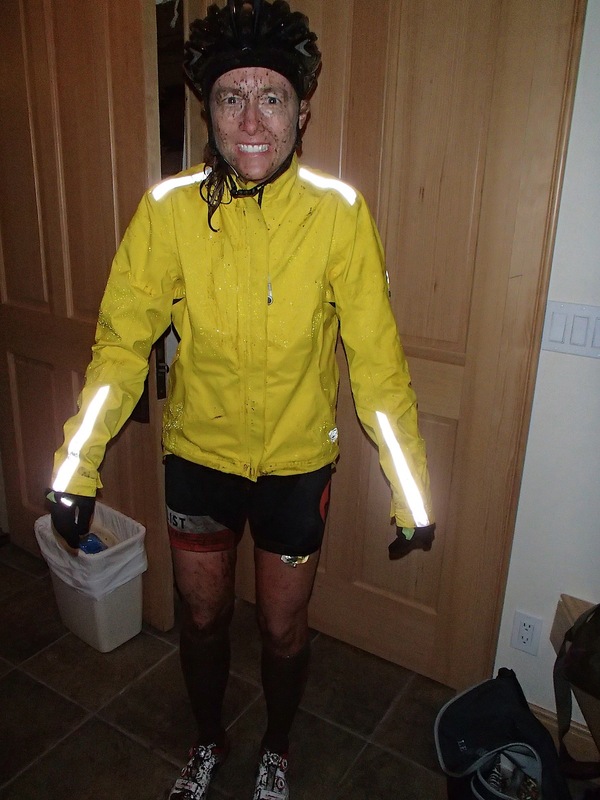 The teeth clenching, the mud, the shivering; I know it well. The worst part was that we had to walk up every hill, until the mud was so bad we no longer even had enough traction to walk. At that point we turned around and got a ride in a warm car back to the start. This experience has only reinforced my roadie obstinacy. Glad you made it through. I still think the Hammer looks better than you, Fatty. It’s a good thing she’s got pretty teeth, because we sure see a lot of them! I’m picturing how difficult it must have been for her to move her lips enough to cover her teeth, let alone speak coherently. 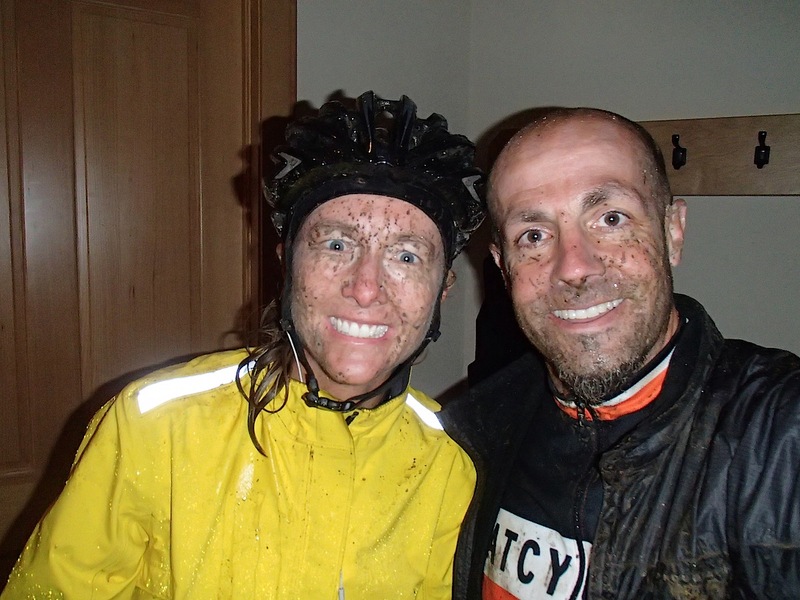 I’ve been that cold and wet on a ride once as well. Ride volunteers kept trying to force me into the ambulance to “warm up” (they say I was blue) but, and perhaps I wasn’t thinking clearly at the time, I was certain they were going to do bad things to me in there as soon as the doors closed. @Clydesteve I’m glad to find out who “anonymous” was, posting and sounding just like that Clydesteve guy. Love the DeathInSpandex band name and I wondered if you have seen that bit about mamils? Middle Aged Men In Lycra. I ride with a lot of mamils and they are the best sort of people. With the news of Lance standing down as Chairman of LivesTRONG , i have returned to using the wrist band ! I do this to acknowledge the 28M people fighting Cancer and would urge others to follow my example ! Here is not the place to debate the issues , but with several family members lost to Cancer , it is my way of holding their memory current . MANIACAL. That is the word that came to my mind when I saw your photo, Fatty. The Hammer looks like a breath of fresh air in the spring in comparison. Meaning, of course, you look like you should based on your description. 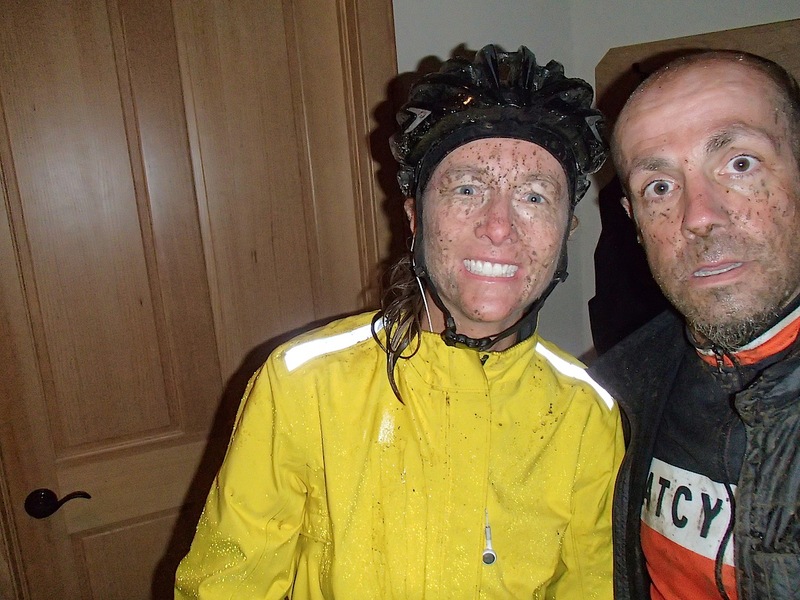 She looks like she experienced a totally different race in completely different conditions (maybe warm, artisenal mud to your cold smelly clay pack). Glad to see day two was only SLIGHTLY worse than day one. I’m hoping your knee gets better and not worse throughout the week (time – and your blog – will tell). I thought the lie was 2:07-2:18, but the real followed right after, 2:20-2:33 and nyah, not convincing–you got all shifty eyed! Great write up and great pics. Thanks for sharing. Awesome marketing! I want to ride the Breck Epic, just like I want a case of the shingles! I can’t wait for Part 3(4)!!! Also wish to know how much training you do in monsoon weather? Saaaay…that is a nice rain jacket. How about a fund raiser with the jacket as first prize? No wonder they call it the Breck EPIC! The Hammer’s clenched moth is to try to quell the shivering; been there too! You guys are awesome! I was on a double century once, riding a Tandem, and we had rain that started about 30 seconds after we started. The water floated all the grit up, and we went through 4-5 flats (at least one where we mis-mounted the tube to hear it explode as we pumped it up) and were out of any new ones trying to patch up the punctured ones with numb fingers. By lunch (~115 miles) I had had enough and I raised my hand for the sag wagon. I was then told there were over 100 people ahead of us and it would be over an hour before a seat would open on the bus, so we got back on the bike. The sun came out not long after and we ended up with a nice (flat-free!) ride to finish it off. Looking forward to the fun part. There is a fun part, right? Love the race report. I would love to ride with the Hammer if I could ever keep up. She is one of the most wonderful, warm, sweet, fun, positive, happy people I know. Her awesome energy vibes rub off on you, even if you’re not riding. Love the Hammer. Sorry to burst any bubbles here, but I’ll go out on a limb and say that is not a smile the Hammer is displaying…yes, it shows teeth. But so does a dog right before it bites your head off…that is a look of a quick and certain death for the very next person to even mildly annoy her. I love the last shot the most…where Fatty has a forced “camera-time” happy face going, and the Hammer’s look has turned into pure psycho-lady…like she’s looking at you thinking about how you’d taste. Look at the eyes…very scary! If there was an actual person taking that last shot I’d bet they are currently missing, never to be found. I agree you are both nuts (in a good way tho)…and certainly you both are infinently stronger (mentally and physically) than I…can’t wait for the next installment! Your post-ride appearance would be perfect for Halloween costumes. The kids (and most adults) would be terrified! 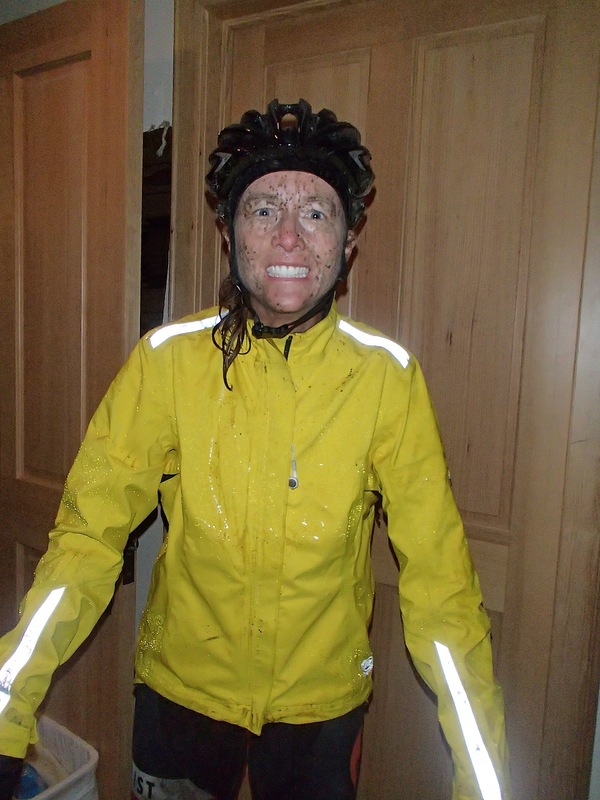 That was the best, coldest, most brutal, most epic ride of my life. Everyone that rode that day is now tougher because of it. Ha!! I’m writing, I’m writing!! That’s a “the terrorist told me to smile or they would pull out my fingernails” smile. Just wondering. What happened to your cleaning deposit on the condo? Or is that now in arbitration. davidh…now THAT is funny! Just about spit out my potato chips and coffee (it’s break time). Great blog posting. I rode the breck epic also this year and yo yo,d positions with you guys daily. 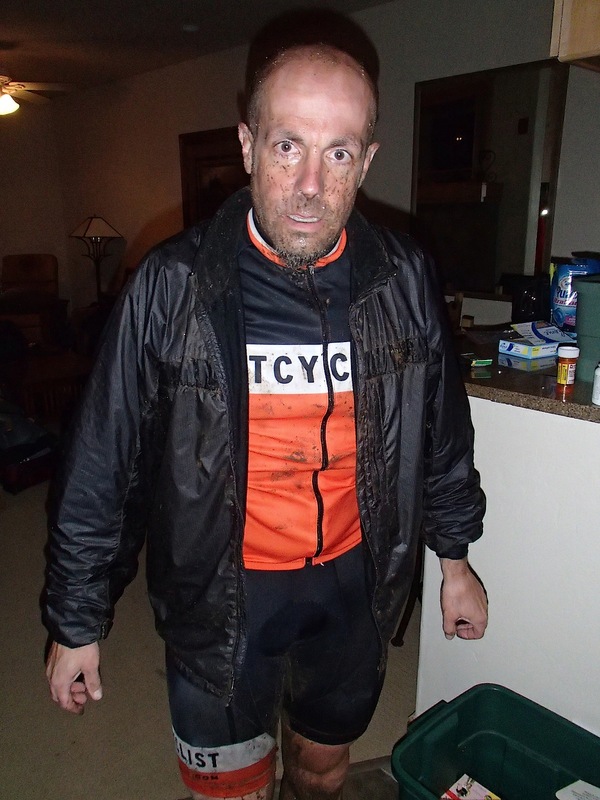 Stage 2 was horrific the worst day on a bike of my life truly dreadful conditions persistent rain and the sheer drop in temperature it went from epic to survival get off the mtn and make this end. Just so ya know, DeathinSpandex is my new 80’s revival hair band. That first picture of you, Fatty — if that isn’t a three-mile stare, I’ve never seen one.